Posted on November 22, 2018 November 30, 2018 by Kelley N.
Poker and blockchain technology continue to become increasingly intertwined, we’re seeing this type of relationship extend to other areas of the gaming market. In fact, we could see a blockchain-powered video game in the near future – a unique project launched by Marguerite deCourcelle. Earlier this month, Blockade Games raised $833,000 to spend developing its flagship game, Neon District, from a wide range of investors, including BlockTower Capital Partners and Horizon Digital. As a result of this fundraising, the company has acquired a $13 million valuation. DeCourcelle is a well-known name in the cryptocurrency world. Over the years, he has created impressive fine art puzzles that reveal the keys to bitcoin and other cyptocurrency stashes worth over $1 million. His reputation and expertise is certainly the draw for investors, as well as the rest of the talent behind Blockade games – which includes professionals who have worked on Playstation 4’s Spiderman and World of Warcraft’s trading cards. These artists and designers are coming together to create Neon District, an innovative video game powered by blockchain technology. It is an incredibly exciting idea, that is sure to change the face of the gaming world. 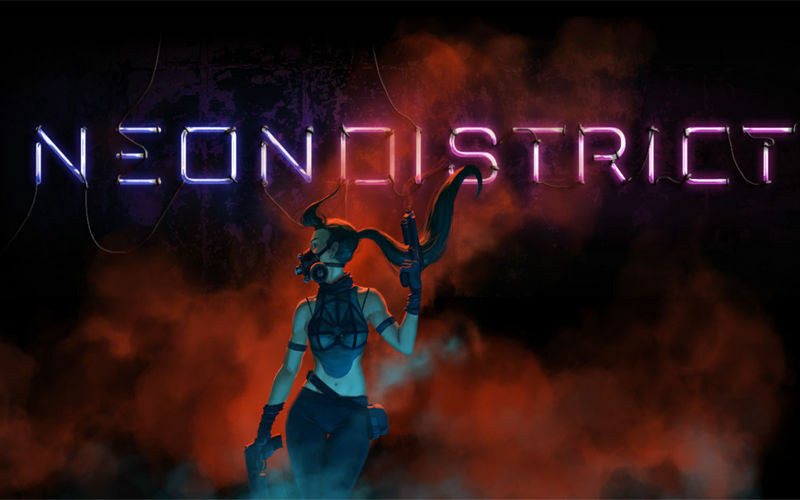 Neon District is a cyberpunk roleplaying game that will be available to the public by May 2019. In the game’s narrative, the government is attempting to wipe out all previous signs of culture and independent thought by mandating preselected personalities. Anyone who refuses will be prosecuted or must go into hiding. As a player, you’re part of the rebellion, who crafts their own equipment and does battle with the powers that be to take back control. It is an asset-based game but differs from other titles, as players’ assets become more valuable over time. This occurs as players gain experience, achieve special abilities and add enhancements to their characters. The history of assets if recorded on an appchain until a player moves them to the Ethereum mainnet. The assets use Non-Fungible Tokens (NFTs) from ERC721, which means that assets are unique and can never be repeated. Although deCourcelle didn’t commit to cryptocurrencies being hidden throughout the new game, she did say, it might very well include some of her trademark puzzles with bitcoin rewards. The inclusion of “Age of Rust” creator Chris Loverme, who made one of the world’s first games with bitcoin rewards, also makes this very likely. Neon District is definitely going to be a ground-breaking game, and we can’t wait to give it a go when it’s released in Spring 2019. There are over 8000 people signed up to Blockade’s mailing list so far, so we are in good company. As the game continues to receive more press, that number is sure to grow and Neon District is likely to have a thriving community of players upon its launch.